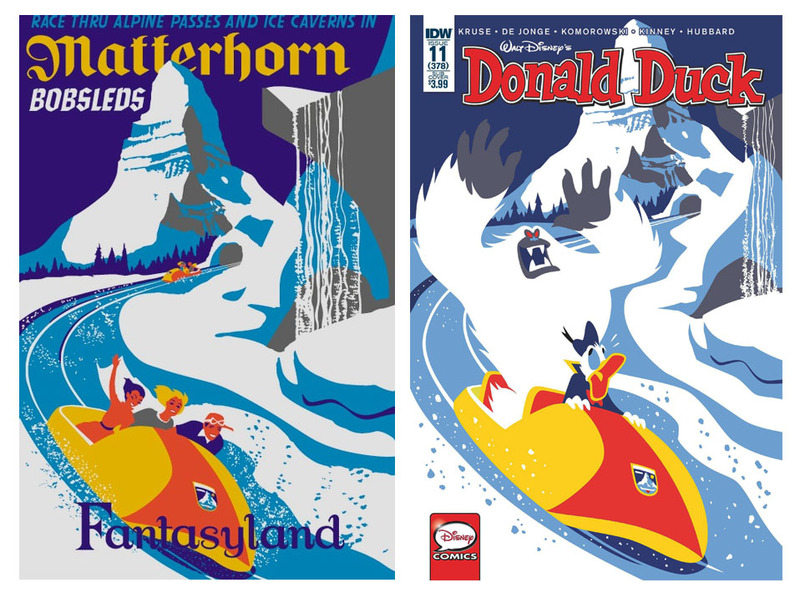 When doing some fact checking for yesterday’s post about Disney Magic Kingdom Comics, I came across a poster for the Matterhorn Bobsleds. I immediately recognized the similarity with a Donald Duck cover we got earlier this year. I had no idea the Donald Duck #11 cover was a parody of an old poster!